* Registration closes Friday 10/12 at Midnight or when we reach our 150 rider limit. Register early and reserve your spot! * Registration for the final 2012 Individual Time Trial on Fiesta Island are now open on BikeReg.com! Entry fees are $30 for adults and $15 for kids (Same as 2011 & 2010!). Sign up early! A late fee of $5 will be applied during the final week of registration for each race. This fee will also apply to same day registration. * Be sure to double check your race date before registering. Categories have slightly changed in 2012. We have modified the age categories by eliminating the max age limit. So now we have 19+, 35+, 45+, 55+, 60+ and 70+ for men, and 19+, 30+, 40+, 50+ and 60+ for women. 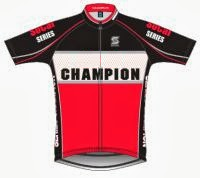 We have also added a separate cat 3 category for men and a cat 1-4 for women. PRIZE MONEY -- $150 CASH! $150 cash for the single male rider on a standard bicycle who can beat the current 24 minute 36 second course record. $150 cash for the single female rider on a standard bicycle who can beat the current 26 minute 37 second course record. Must be present at the awards ceremony to receive the prize money. We wish to thank Moment Cycle Sport as our title sponsor for 2011! JT, Cory and the crew will be at each race with neutral support. Stop by their tent, right next to registration. Also be sure to stop by their new shop and give them a big thanks for making this race series possible! Remember to check their websites for rider photos and possible fitting ideas. Thank you SockGuy! SockGuy provides socks for the first place winner of each category. Truly a collector's item! – Legoland Moonlight Beach, located in beautiful Encinitas, offers a unique setting of beautiful beaches, coastal villages, and inland hills. Please request the “Moment Cycle Sport's Fiesta Island Time Trial” discount for 15% off. I – 5 Freeway: Exit Encinitas Blvd. Hotel is located to the West of I – 5. Quichrbichn is a small company way on down in Southern California. We want to sell cool shirts, and while we're at it, promote volunteerism, socially responsible lifestyles, and a quiet activism—thus our motto "Be quietly." Thanks to all the racers, sponsors, and volunteers. You all make our race a success. 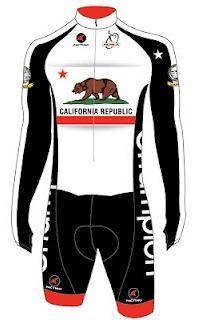 Remember please support our sponsors, Moment Cycle Sport, SockGuy, Days Inn Encinitas, Team Quichrbichn, and SDBC. They make our race happen. Thank you for your interest in our race. We hope to see you on the island!